I’ve finally finished the first kits for the quilt squares. 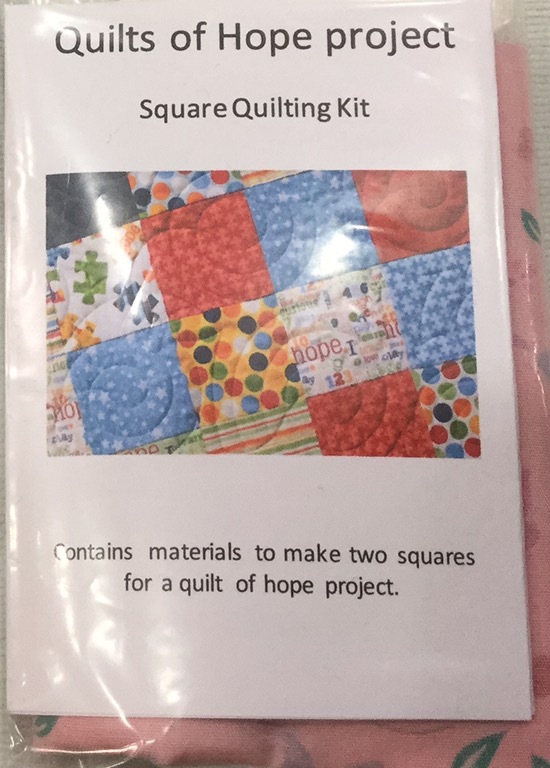 The kits contain almost everything you need to make two squares for the first Quilt of Hope. I’m selling them for £10, which covers the cost of UK postage and the kit, any proceeds from these kits will go towards the other things we’ll need for a quilt. If you want to buy one you can buy one online from my Etsy shop, click on the link below to go straight there. Once you’ve made the squares you can keep them or send them back to us to be sewn into the quilt. Our first quilt is going to be for the Joanna Project (www.joannaproject.co.uk) which supports women working in our red light district. If anyone is around Leeds on Saturday and wants to meet and try the kits we’ll be meeting in Chapel Allerton Saturday, everyone is welcome and we’ll be able to talk about best times and locations to meet and sew.